Lately I have been trying to cook more healthy meals. Cooking for this blog has started to take a toll on my waist line somewhat. Im my attempt to turn over a new leaf you will be seeing quiet healthy recipes by more often. This does not mean that this is a lowfat or diet blog, I will still dabble in butter and frosting and way too much chocolate from time to time. 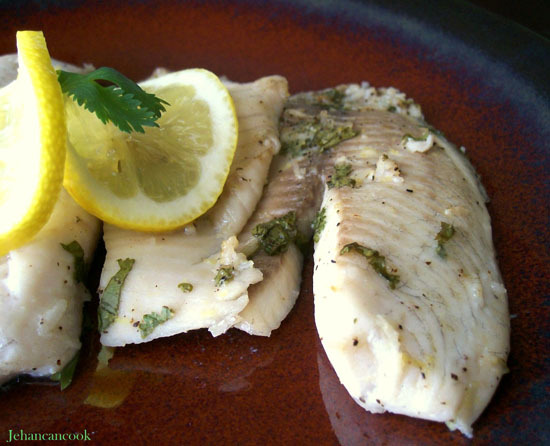 I love the classic combination of citrus and fish, do I decided to broil tilapia filets with lemon, pepper, cilantro and garlic. Nothing fussy, nothing too fancy but light and delicious. Preheat oven to broil. Mix lemon juice, zest, black pepper, salt, garlic and parsley. Pour over tilapia and allow to sit for 2o minutes. Spray a baking pan large enough for the tilapia not to overlap. 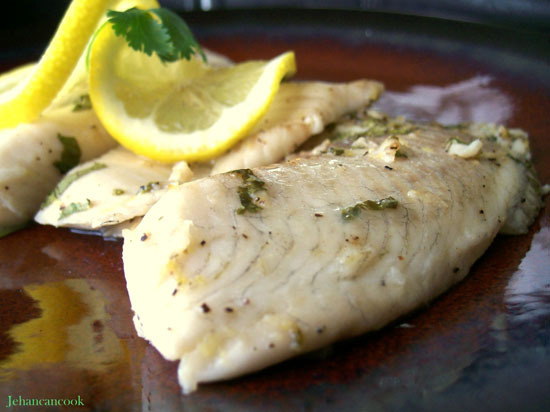 Place tilapia side by side without touching, spray tilapia with cooking spray. 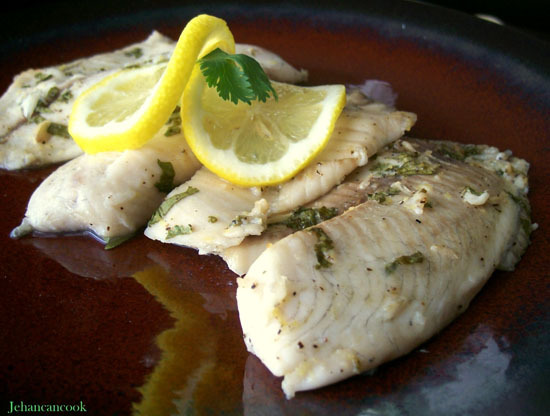 Place in oven and broil for 5-7 mins( this depends on the thickness of the fish filets). Next Post My First Press!!! i know what you mean when you say food blogging can take a toll on one’s waist line! We are going to try this recipe tonight, sure sounds delicious! Well I’m trying this recipe out for dinner it looks simply delicious..